Starting about a month ago, I couldn’t think about my birthday without crying. My feelings of failure around my lack of a baby got punctuated and emphasized by my impending birthday. Turning 34 meant I officially failed to reproduce at 33. And turning 34 meant there were no more birthdays between me and 35. So I spent last week in misery. I dwelled in every negative thought, I gave in to every self-indulgent bitter emotion. I didn’t feel like smiling or laughing. I let myself feel agitated and unhappy. I had a hard time relating to everyone around me, including my husband. And I gave up even trying to pull myself out of it. But I actually needed a week like that. I needed to let go of my constant pep-talk-positive-cheerleading that keeps me going day after day for a short while. I needed to get out as much negativity as I could. Because better to leave it all with 33. Because then I was ready to have a fabulous weekend turning 34. My brother and his wife hosted a beautiful birthday for me on Friday night. My cousin and his wife came, and they created a fabulous spread of hors d’oeuvres, with bacon-wrapped pears, sausages, fancy cheeses, and caprese skewers. For dinner we ordered from a trendy Venice restaurant, and ate salad with Tuscan kale, shaved fennel, radish, and ricotta, and feasted on braised pork meatballs and pizzas with chorizo and lamb sausage. beautiful table setting and beautiful food! guess what i wished for?! On Saturday, my mom flew in from Austin and we went straight to Disneyland! My brother, sister-in-law, and nephew joined us along with my good friend, my godmother and her boyfriend. We spent a crazy day trying to navigate the park with half the group only wanting to go on mellow rides, and the other half (myself included!) wanting to do only fast ones. All in all it was a beautiful day, full of silliness and fun. 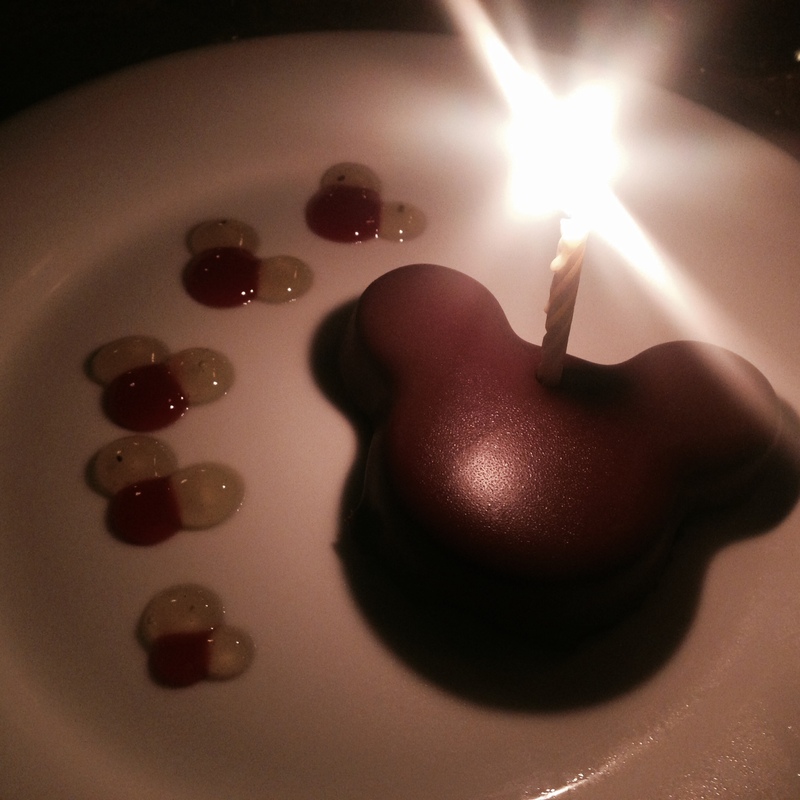 never too old for a mickey cake! 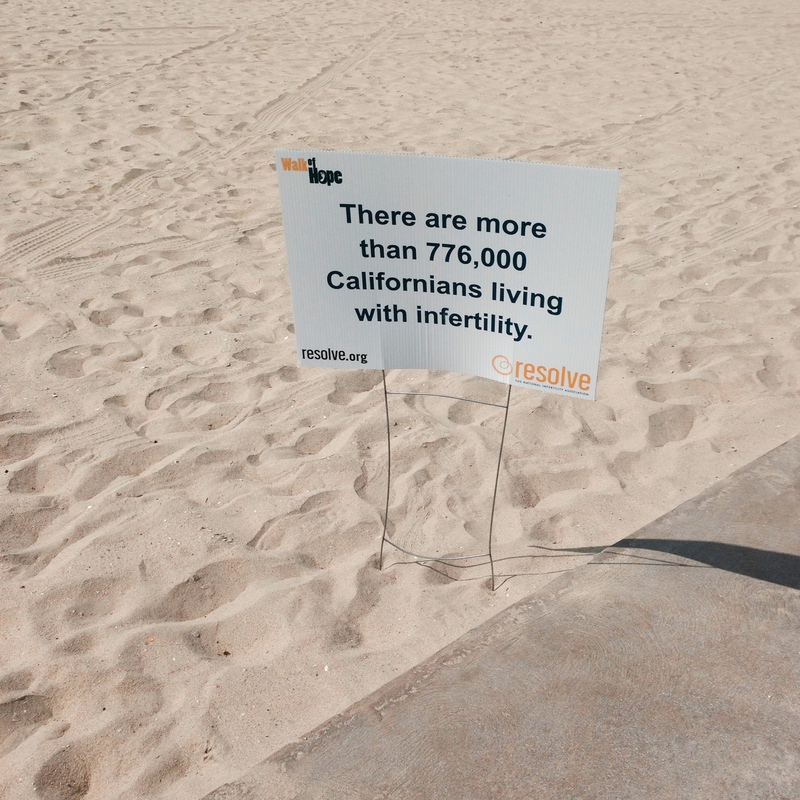 On Sunday morning, my husband and I got up early and drove to Long Beach to do the Walk of Hope, hosted by RESOLVE, the National Infertility Association. We were able to raise over $1100 and were the third highest fundraising team. I received a special thank you from the Director for our fund-raising efforts. It was a beautiful morning, and I felt overwhelmed with emotions to be in this group of people who understood this pain so well. It felt fitting to be a part of this event on the last day of my 33rd year, a year so wrought with struggle, and I hope symbolically it breathes positivity and a new outlook to 34.
representing my blog and my angels. the beautiful 1 mile walk through the beach. they gave out free pregnancy tests! On Monday, my actual birthday, my mom and I spent the day together. 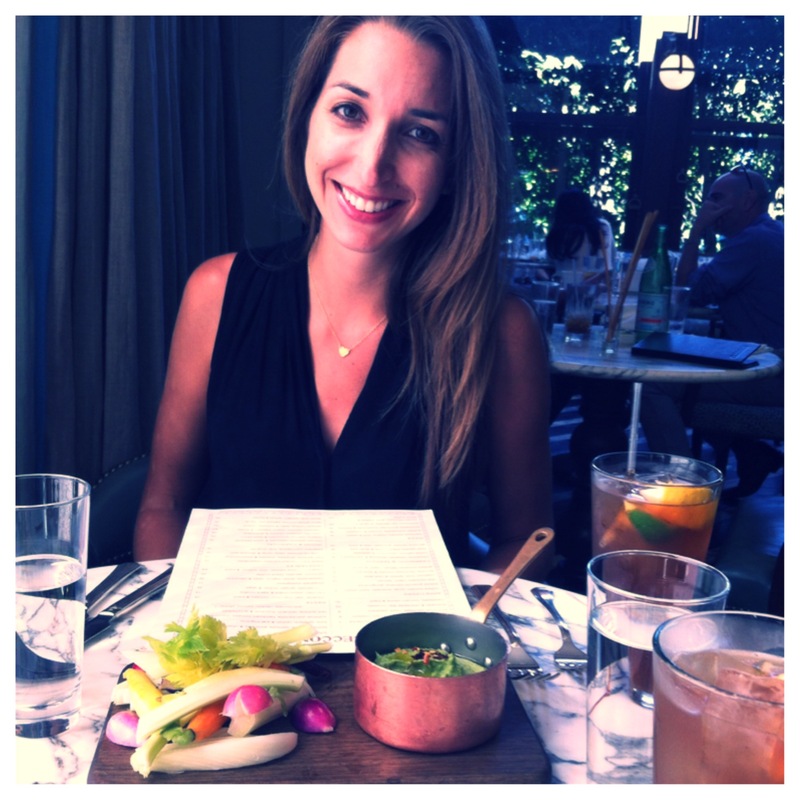 We did a little window shopping and then indulged in a long, leisurely lunch at a gorgeous West Hollywood restuarant. The lunch was one of the most enjoyable meals I’ve ever had, and the day was one of the more special days I’ve had in a while. loving the time spent with my mom. And then of course when my husband got home from work he spoiled me with gifts and took me out to dinner. We drank a bottle of wine, took our time, ate a ton of food, and talked about every fun thing we could think of. My birthday this year was one of more perfect birthdays I’ve had. I know my family put extra effort into it, knowing the year I just faced. I needed the fun and the distraction to remember how lucky I am in life. 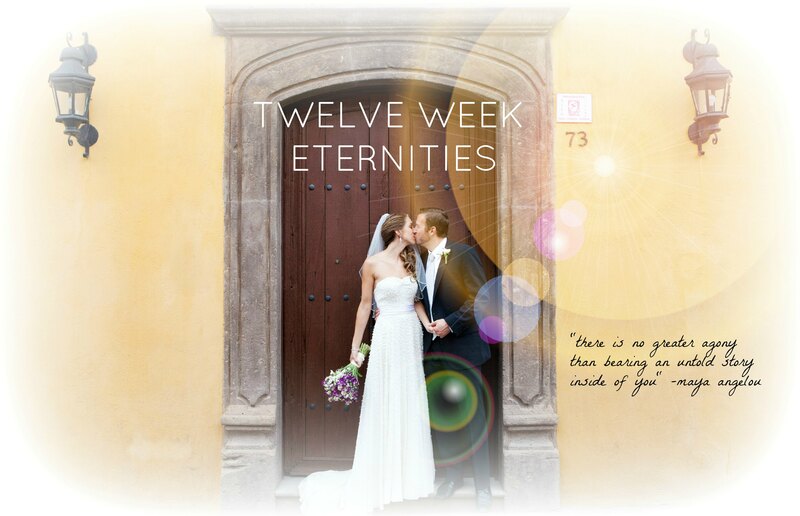 I needed such a busy whirlwind weekend to snap me out of a deep funk that I had slipped into. I needed a fun birthday weekend to make myself feel like everything is going to be ok. 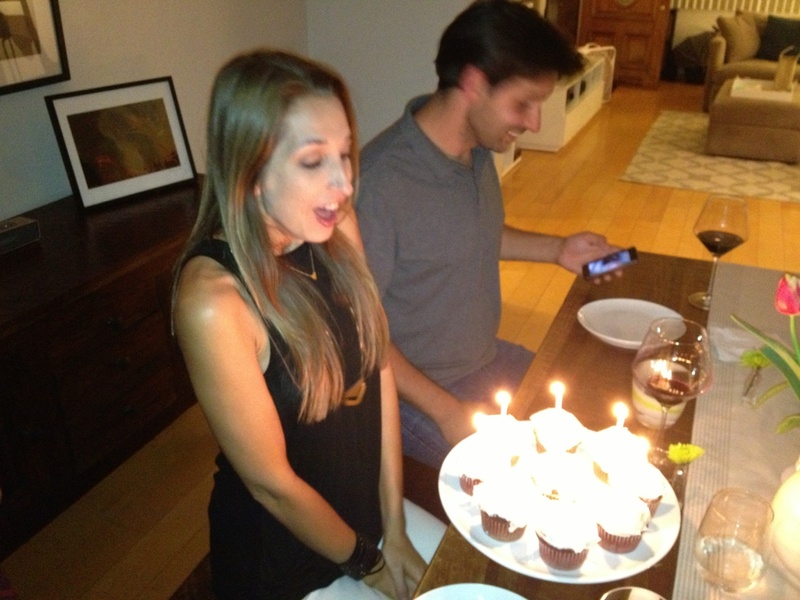 But I still will plead….please be kind to me, 34. Despite my deep love affair with sweets, cheese, and pasta, I have always loved healthy food. And now, in my ongoing quest to be in optimal baby-making condition, I’ve given more focus to my diet than I ever have before. I’ve tried to cut back on sugar, gluten, processed foods, caffeine, and alcohol (except for the binge that happens every month following a confirmed BFN, of course). I’ve also tried to pay more attention to how my body feels after I eat certain foods. Am I tired? Sluggish? Irritable? Energetic? I’ve found that when I’m able to sustain a tip-top diet for a period of time everything changes – I feel happier, less anxious, more energized. 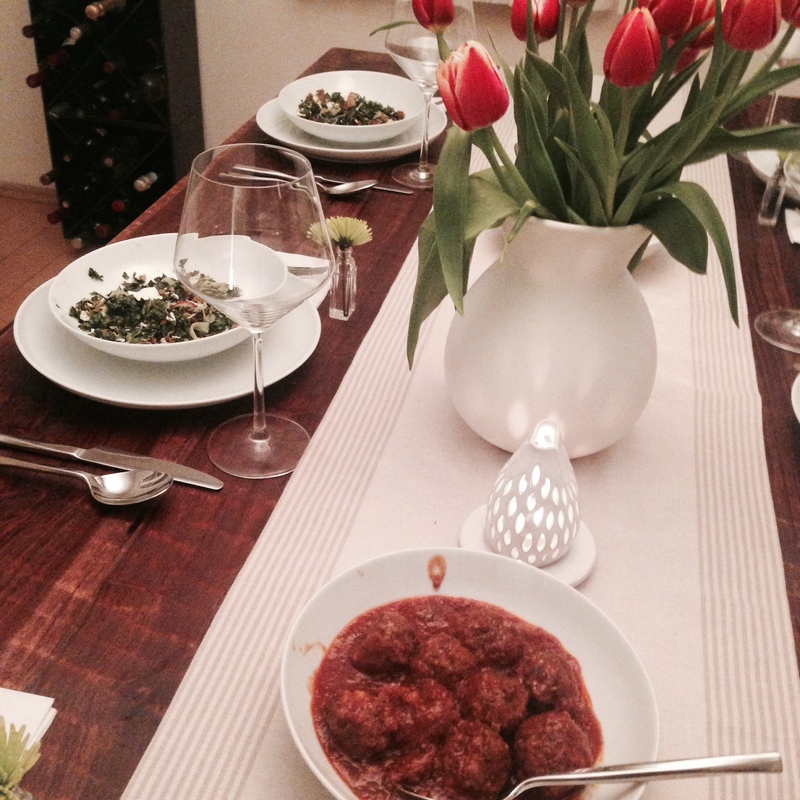 So I decided to share a few of the healthy dishes I’ve created over the last few years. I hope to continue adding to this list and sharing more recipes as time goes on. These recipes all focus on foods that help fertility, such as avocado, walnuts, black beans, lentils, kale, and berries. The recipes are pretty simple, but I’ve never done anything like this before, so please let me know if any of the instructions are unclear. Click on the images below to be directed to the full recipe. Enjoy! 1. I have a 15 pound chihuahua, which is huge by chihuahua standards. She’s not necessarily fat exactly, just more big-boned 🙂 I got her when I was a 25 year old single girl living in NYC, and she’s been the sweetest, most quirky little companion ever. 2. Since moving to Southern California, my favorite weekend activity hands down has become hiking. The hikes are beautiful here, and I’ve found them to be so healing and centering during tough times. 3. I love international travel, and I have spent time studying in Madrid, Florence, and central Mexico. 4. In my last job, I worked closely with members of the United Nations to help connect the LA creative community to the UN, in an effort to spread awareness of global issues through creative content. 5. My husband and I honeymooned in Cambodia and Thailand for three weeks after we got married. 6. I come from a very creative family which includes a film maker, blues musician, actresses, theatre directors and writers. I love the arts, and like to dabble in lots of little creative projects here and there. 7. My husband and I both worked in book publishing and our house is overflowing with all the books that we’ve collected over the years! 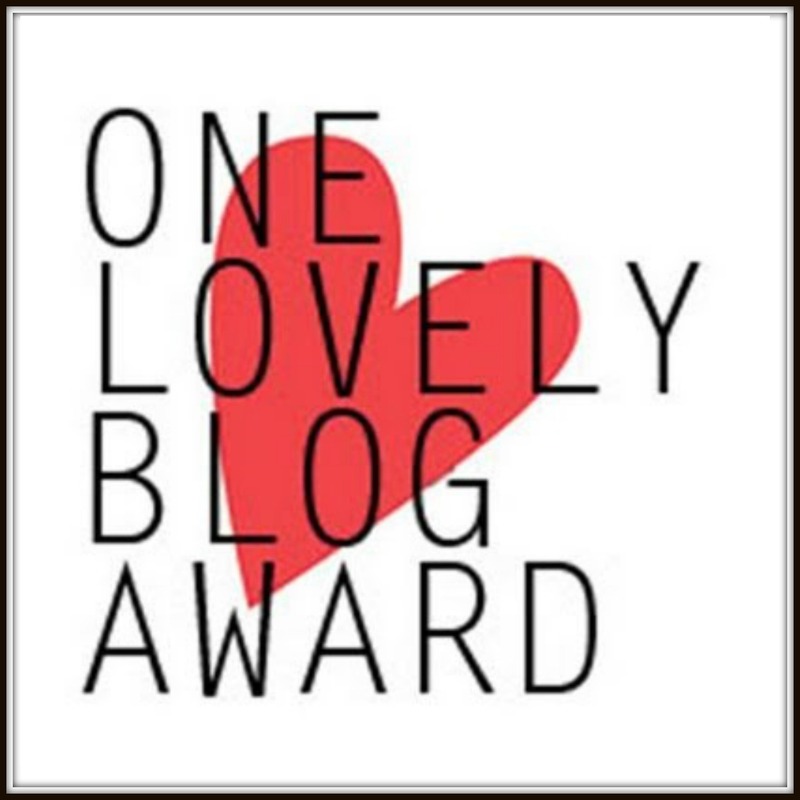 When I started blogging, I never anticipated the amount of true loveliness I would encounter within this new community. 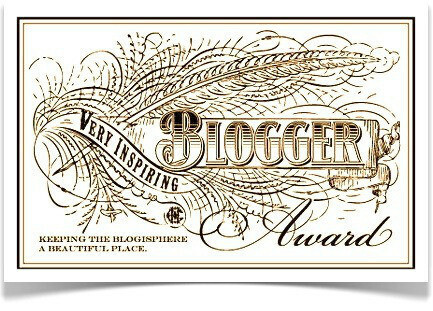 Every single blogger I’ve had the pleasure of sharing my journey with has shown total kind-heartedness, understanding, compassion, and somehow always has the right words to say to give me comfort when I’m struggling. 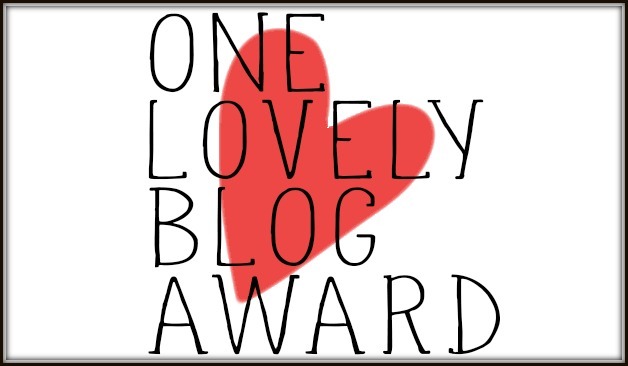 I’m excited to highlight the following blogs as some true stand-outs, whether it’s through the grace they’ve shown through incredibly tough times, the humor they find in light of hardship, the wisdom in which they write about their experiences and perceptions, or the generosity in the kind support they’ve shown me. Thank you all! I’ve always been a girl with a plan. I like lists and schedules and thinking things through and knowing what will happen ahead of time. And even though we know it’s futile, I approached baby-making the same way. I got married when I was 31. We moved to Los Angeles after the wedding, and shortly after, I turned 32. I insisted I find a job before we started trying to get pregnant, which I did a few months later. I stopped birth control, and waited 3 cycles to load up on prenatals and folic acid, and to make sure I would receive full maternity benefits from work. And then we started trying. I was determined to become pregnant by 33. Which I did. But I lost the baby 6 weeks before my 33rd birthday. I then became determined to have a baby before turning 34. I became pregnant again, with a due date 6 weeks before my 34th birthday. But I lost that baby too. I then thought, ok well at least I’ll be pregnant again before I turn 34. I turn 34 in eleven days and that’s not happening. So now I keep thinking, as long as I’m pregnant by the end of 2014, as long as I have a baby before 35…. These are self-imposed arbitrary deadlines, and they cause me so much stress and heartache. I had a meltdown in therapy last week. About how I’m dreading my 34th birthday. About how I never wanted to get this old before having kids. About how my fertile years are slipping away. About how sad I’ll be if I’m not pregnant by Christmas. About how much I’m trying to make this happen for us. How could she be so mean? How could she say something so hurtful? And even though the tears that followed were an involuntary reaction to those words, I knew she was right. I fantasize all the time about letting go. Could I just trash my ovulation sticks, my basal body thermometer, never pay attention to what cycle day it is, or when my period is due? Could I ever just not care about when this actually happens? I know my therapist is nudging me in that direction. She wants me to acknowledge that this is out of my control, and to let go a little. She wants me to stop putting all my hope and desperation into each current cycle, and have faith that eventually, it will happen. But how do you climb out when you’re in so deep? Every little bit of this is so loaded. I would just be pretending to not know the cycle day, or that I wasn’t anxiously awaiting the verdict at the end of the two week wait. Because I’m too scared to let go. Too scared that if I don’t try to control it in some way, it will never happen. 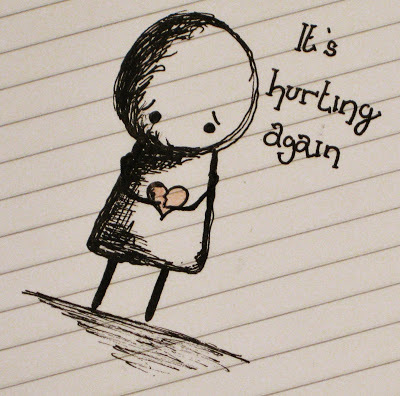 I know that despite however much heartache it causes me, I’ve accepted that we’re fighting this battle. I pushed and advocated for our care every step of the way, even when doctors have written me off or rolled their eyes. I’ve accepted that we’ve needed help and that we had medical issues that needed to be fixed. And after the second loss, even though I was told over and over to “just try again,” and I wanted so badly to do exactly that, I accepted that it wasn’t the solution. But what I still have trouble accepting, now that we’re fixed and primed and ready, is that I still have no control over when this baby will come. That every plan, every bit of effort, obsession, and desire, makes no difference. And so I tried to think of it another way. My baby is waiting for that perfect time to emerge. Waiting for the right time for its journey from zygote to the little human in my arms. My baby is forcing me to get strong, to learn about perseverance, and patience, and faith. My baby is forcing me to learn when to exert control and when to let go. When to be assertive and when to be passive. When to perfect the art of equanimity and when it’s ok to meltdown. My baby is waiting so that the joy of his or her arrival will be that much more overwhelming. Waiting so after all these tough lessons, I will be that much better of a mom. In two weeks, on September 21st, my husband and I will be walking in RESOLVE’s Walk of Hope, taking place in Southern California. We are so excited to take part in this event and raise funds and awareness for this great organization. 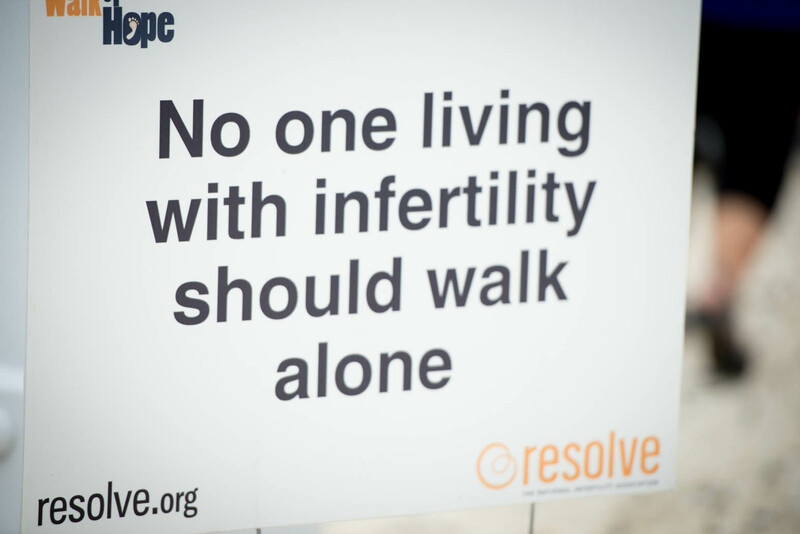 RESOLVE offers so many resources and is an incredible source of information and support for couples experiencing infertility. I encourage anyone in the Southern California area to take part, or check out when there will be a Walk of Hope in your area. We’ve been sharing our story with friends and family to gently ask for support as we attempt to raise money for this walk. Opening up has felt vulnerable and scary, but every time we receive a donation my eyes fill with tears because of the love and support I feel. I have to remember that we are doing this for a greater purpose – to help lessen the pain and struggle of infertility for couples in the future – and the awkwardness we feel opening up is a small price to pay. If you’d like to support RESOLVE’s efforts, you can sponsor us on our walk by clicking here (we’re Team Chula, in honor of my dog and stand-in child for the time being). No donation is too small! You can also donate directly to RESOLVE through their website by clicking here. Has anyone participated in this walk before or plan to this year? I would love to hear about your experience! 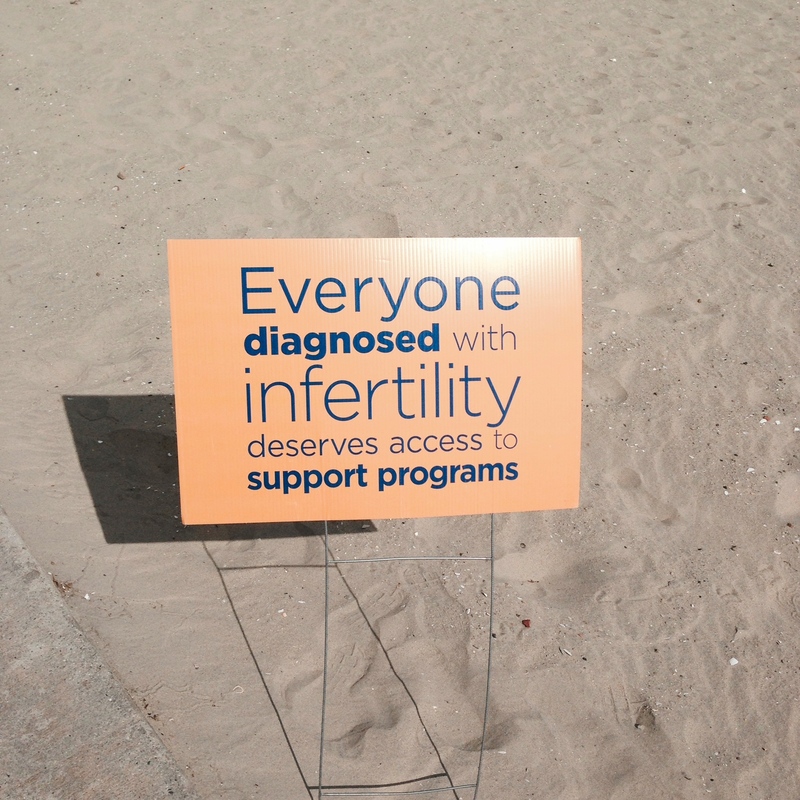 RESOLVE’s Walk of Hope is a 1-mile walk that recognizes the many ways in which families are built, supports local support and programs for the 7.3 million women and men living with infertility and raises public understanding of how the disease of infertility impacts families nationwide. The Walk of Hope is being held in several locations across the country. Funds raised from the Walk support local RESOLVE programming which includes support groups and educational events, public awareness initiatives, and advocacy efforts to ensure family building options are available to all! 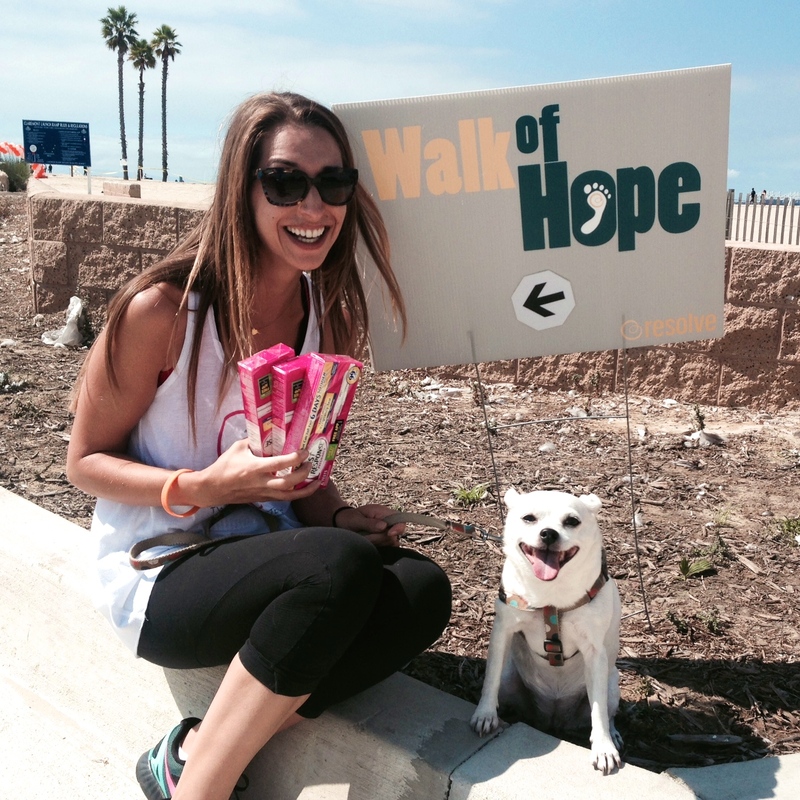 The name “Walk of Hope” embodies the emotion that most people living with infertility feel. They are hopeful their dreams of family come true. 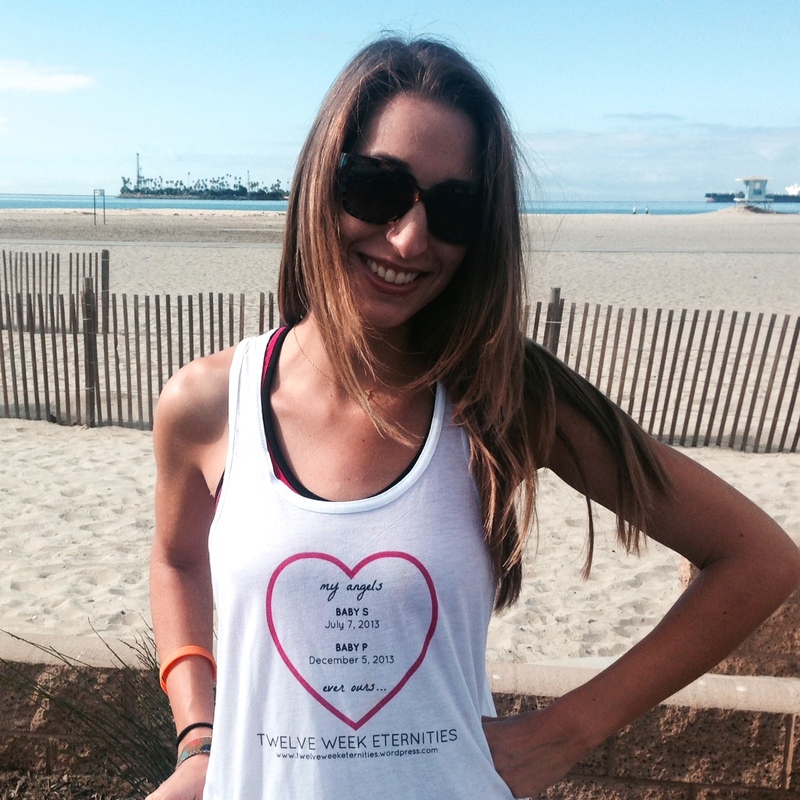 Some hope to simply find a peaceful resolution to their infertility journey. 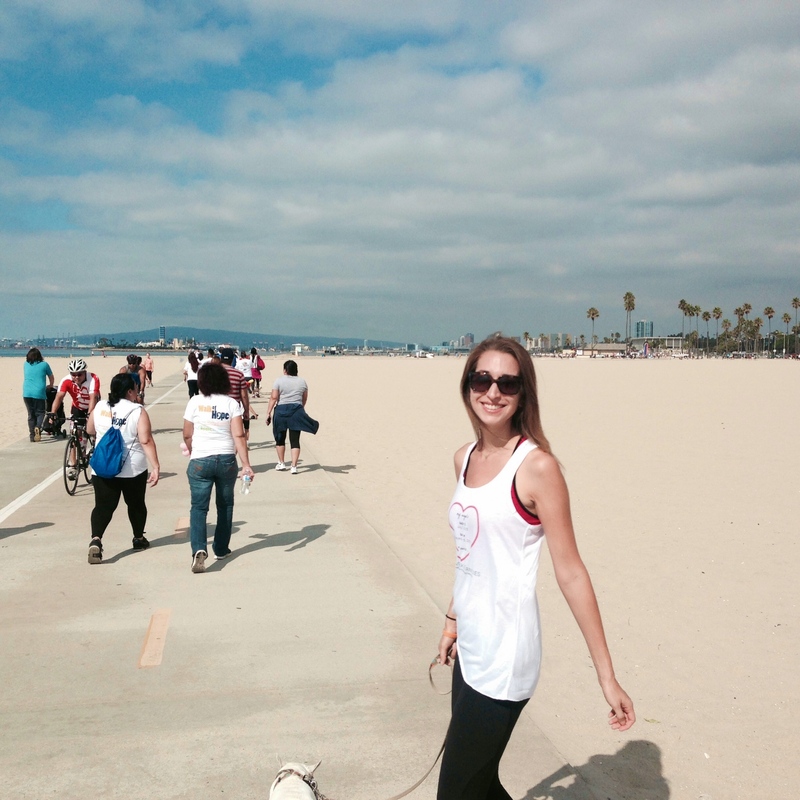 A Walk of Hope is an event that represents the infertility journey—a series of small steps, each one filled with hope and a reminder that no one should walk on this journey alone. My cyst was smaller, but not small enough. We were told to continue sitting this cycle out, and I was instructed to remain on pelvic rest. Disappointing, but I’m ok. I’m back on my feet. Sometimes it takes me a few days. I need a few days to crash, and cry, and embrace all my despair in the form of dramatic sobs and refusing to get out from under the covers. My helpless husband stays by my side, trying to cheer me up by enticing me with fro-yo or by bringing me surprise bouquets of flowers. But he knows. Once I’ve had my monthly tantrum, I always find it a little easier to pick myself up, accept reality, and move on. And so I’m moving on. But since I’m always a girl with a plan, I had to come up with something new to keep myself calm and help me believe that this next cycle will be The One. As my therapist has pointed out, so much of my hope is attached to action. When I’m forced out of action, and I have to just sit and wait and lessen my control grips, I start to spiral downward. Downward to that negative place that eats hope and smacks down positivity. Which is why this cyst and sitting out this cycle hit me so hard. And although my therapist continually encourages me to make peace with sitting and waiting and acknowledging that I have no control, I tend to resist it. My next action item is to do an HSG, which I requested today. I’ve had every single infertility test out there, except this one. Because I’ve gotten pregnant, and an HSG checks for blockages in the fallopian tubes that would prevent a pregnancy from even occurring in the first place, my doctors have brushed it aside and told me I didn’t need it. Which is probably true. But I was also told I didn’t need a saline ultrasound, which is the procedure that led us to discover that I had a large uterine septum and likely the cause of my losses. After two miscarriages, a D&C, and a hysteroscopy I need some reassurance that every bit of my reproductive track looks pristine. I tend to lie awake at night wondering, has any scar tissue developed from the hysteroscopy I had 5 months ago? Is there some weird thing going on in my tubes, that’s going to now prevent me from getting pregnant again? Has the chaos of the last two years destroyed anything or broken anything in there? I know this last bit makes no sense, but still, I lay, and I worry. The HSG will answer these questions and hopefully give me some serenity and confidence to continue moving forward. And as an added bonus, I wouldn’t mind the extra fertility boost that the HSG is known to give, as that lovely dye paves the way for a smooth ride for that sperm and that egg. I know there are horror stories out there about the HSG, and it probably seems a little crazy to beg for this unpleasant procedure. But I am a worrier. I love to fret. I develop irrational fears. Repeat pregnancy loss makes all those tendencies ten times worse. And so if there’s one thing in this process that we left out and didn’t check, it will haunt me day after day. Peace of mind is a precious thing. I’m willing to let someone shoot dye through my fallopian tubes and uterus just for a little bit of it. I woke up this morning aching. After the failed IUI and then learning I had a cyst that would prevent us from trying again this month, I haven’t felt the same. Even though I’ve resorted to all my usual antics to try and pick back up and stay positive, I feel as if I’m hitting a breaking point, one where the reality of what we’ve been through has finally truly hit me. They say that after a miscarriage a women not only grieves the loss of her baby, but grieves the loss of her reproductive story. I never quite knew what that meant. I understood the idea of grieving a reproductive story on an intellectual level, but I hadn’t quite felt that loss in my heart yet. I hadn’t grieved the loss of my reproductive story. I’m finally having that out of body of experience, where I look back at the last two years and I can’t believe what I’m seeing. I can’t believe how this desire to start a family turned into a nightmare, and one I can’t wake up from or claw my way out of. I can’t believe that this is my story. All the heartbreak, stress, tears, and loss is now my reproductive story. And it makes me so sad. Last night as I laid in bed headed for sleep, my mind was still going and my heart still hurting. I had been feeling depressed all weekend, like I was suddenly struggling through fresh grief. I thought to myself, as I started to drift into twilight sleep, “What am I feeling, really?” And instead of words floating through my mind to answer that question, I saw the answer in images. I say myself in the ocean, in the middle of a violent whirlpool. I was trapped in its torrent. I was flailing my arms above water, towards the side of a boat, trying to lift myself up, but I couldn’t. I couldn’t grasp the edge of the boat to pull myself up. And there was no one there to lift me up. So instead I kept thrashing, trapped, alone, getting pulled deeper and deeper. When I woke up this morning I mindlessly picked up my phone and opened Facebook, which I often do before getting out of bed. The first picture I saw was a photo of my best friend’s seven month old baby. The friend who shared my due date, before I lost my baby. With time, I’ve healed enough and grown numb enough to see photos of her baby without too much of a stabbing pain. When he was three months old, I even got the courage to go spend the day with him when I was visiting San Francisco where my friend lives. But this morning, I saw that picture and the loss just hit me. He was growing into a little person. He wasn’t just a little 8 pound nugget anymore, lying helplessly, swaddled in his blanket. He was becoming someone. Something my babies won’t ever get the chance to do. With that photo, and with that realization, I closed my eyes and let a tear run down my cheeks. I could feel my losses in a profound way. I could see what I lost. I could see what I lost getting older, growing into someone his mom and dad probably could never imagine their lives without. I miss my babies today. I miss the awe and wonder of knowing that they are growing inside of me. I miss the nausea and the fatigue and the changes to my body that assure me that they are in there. I miss imagining the people they would become, and who they would resemble. I miss envisioning the life we would all have together. I miss the promise that they held. I miss the joy I felt knowing they are in my belly, and that my body was busy creating a life. Although I have faith that I will create life again, I will always miss my babies, always remembering how old they would be, always wondering who they would have been. But someday, I hope that maybe I can make peace with my reproductive story. Instead of feeling loss and sadness, I hope to understand what it’s given me. How it’s made me a better mom. How it’s forced me to never take my children for granted, and hug them just a little tighter knowing how hard I fought for them. How it’s given me more empathy for others who struggle. How in going to these dark places, I will embrace the light in a deeper way. Today I may grieve, and I may miss my babies. But eventually I hope to understand, and find a deeper meaning into why this had to be my reproductive story.